It occurred to me the other day, while trying to catch a few waves on my paddleboard, that my life is a lot like surfing. There are these long periods of calm punctuated by short periods of exhilaration. A typical wave ride is really only seconds long, and to get that ride, I’m perfectly willing to wait, and wait, and wait. If my ride was particularly satisfying, I will be able to mentally relive it in complete detail, second by second, even decades later. That’s an amazing human ability. (Don’t ask me what I had for dinner a few days ago, though, that memory is unreachable, and probably for a good reason). This is the truth of it. I don’t want our followers to think that we are always traveling. These small tales of small adventure are interrupted by long periods of routine: work, social and familial obligation, stress. During these between periods we plan, save, and wait (and wait, and wait, and wait) for the time when we get to pack up and go somewhere. We get to do more than most even dream of, it’s true, but we make it a priority, and so, whether it is a long bucket-list trip or weekend getaway, it happens. So here I am, recounting a trip we took one whole year ago. I don’t why I waited so long to write about this one, but I am still able to recall, in minute detail, the short time we spent in Cozumel; an indelible, permanent, joyous time, and one that is best relived in seconds. 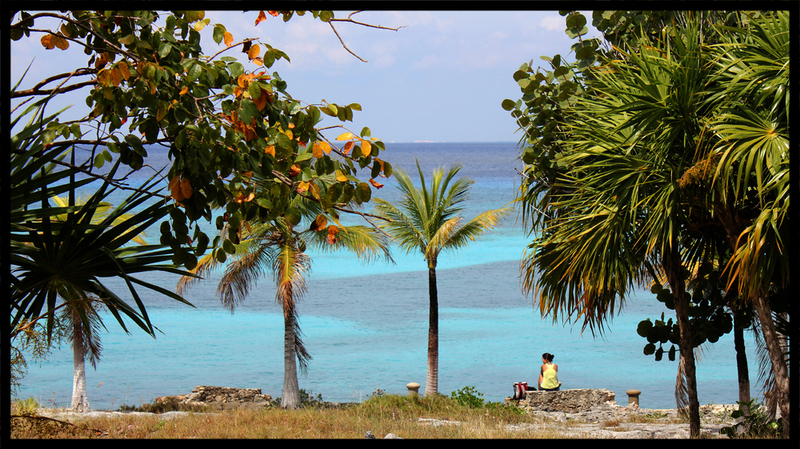 Cozumel is a small island off the Yucatan peninsula that subsists entirely on tourism. Although it is only about thirty miles long and ten miles wide, its port accepts some twenty to thirty cruise ships a week, as well as daily ferries from nearby Playa del Carmen on the mainland. With this kind of traffic it would seem that Cozumel was hectic and busy, but it’s actually quiet and serene, at least once you get away from the harbor. We stayed at the wonderful Playa Azul Hotel, located a few miles up the rocky coastline. The second we felt the Caribbean breeze blowing through the open-air lobby, we knew our trip would be very special. That, I believe now, is the most important strategy to visiting Cozumel. You have to get a few miles away from downtown San Miguel, with its strip clubs and tourist shops (there’s even a Ron Jon’s in Cozumel—and that was both shocking and not shocking at the same time). 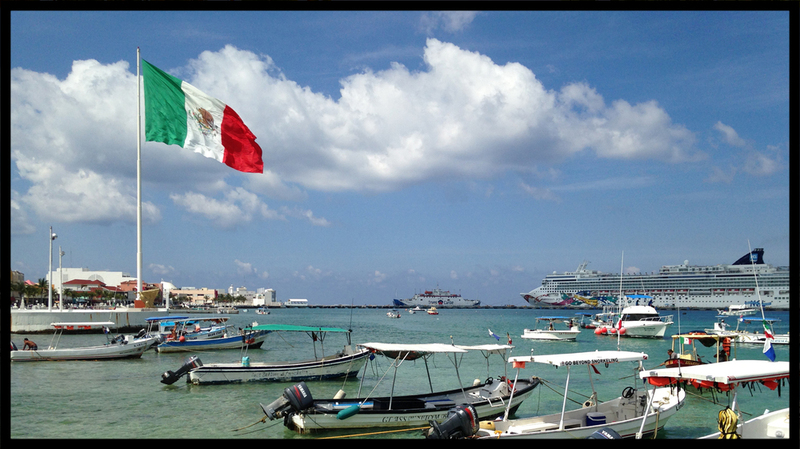 Get in a taxi, drive away from the cruise ships, and then let the time-slowing peace of Cozumel wash over you. It is an island of contrasts. The waters on the mostly populated western side of the island are as calm and blue as I have ever seen, while the almost uninhabited eastern beaches of the island can be windswept and rough—you can even surf there. 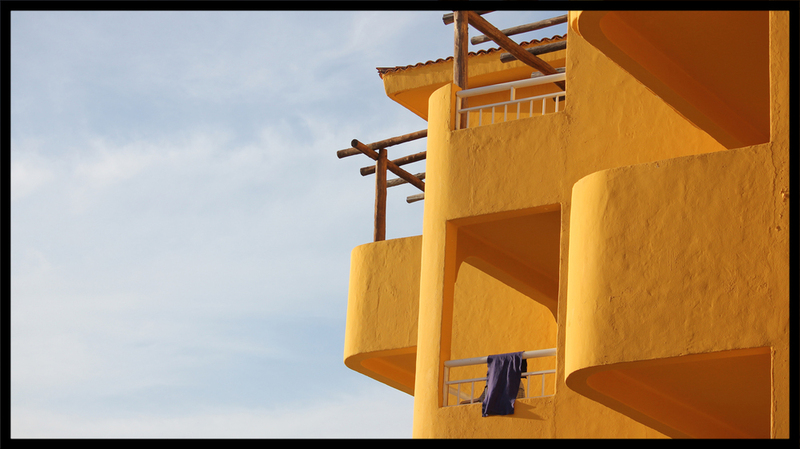 The architecture of Cozumel is a mixture of what once was, what is now, and what is soon to be. There was a lot of new construction on the island, and that was amazing given the fact that everything, and I mean everything the island needs comes through its deep water harbor. Don’t worry about the drinking water, though, as Cozumel has three desalination plants. There were two main questions we were asked after we returned from Cozumel: Is it safe, and did you drink the water? Because the island depends on visitors for its livelihood, crime (at least against tourists) is not tolerated, and so Cozumel goes on record as one of the safest places we have visited. This is not mainland Mexico. This indigenous value the islanders hold for tourists may be why we found the people of Cozumel to be so warmly accommodating. Although, in all honesty, I really think they are that way naturally. There is an infectious charm to these descendent of the Maya that plays an important part in the time-slowing peace you feel there. For example, Alberto, one of the staff at our hotel, offered to show us around on his day off. He never asked for money, although it was understood that we would give him something for his time, and we did. We piled ourselves into Alberto’s tiny car and he drove us around the entire island. During our day as land-based tourists we did some snorkeling right off the beach, and bought some touristy souvenirs. 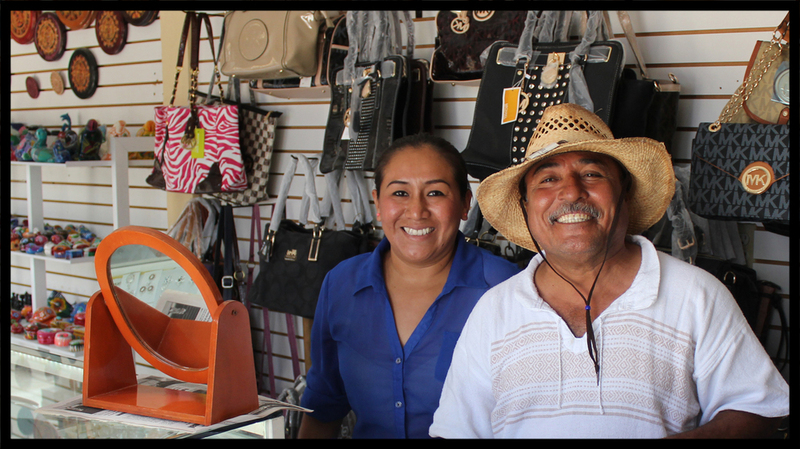 Shopkeeper Chiro Cortez kept me smiling and laughing, even while I knew I was paying too much for a little cast replica of the Mayan calendar. (It was ok, though, the exchange rate was 15:1 and our U.S. dollars were going a long way). I was well aware that these small transactions held high value. The simple act of paying a few pesos for a photo with a Yucatecan in ancient traditional dress does more for the local economy than you might think. We would have seen much more of this little island if we had not spent so much time in the water surrounding it. But that was why we were there. 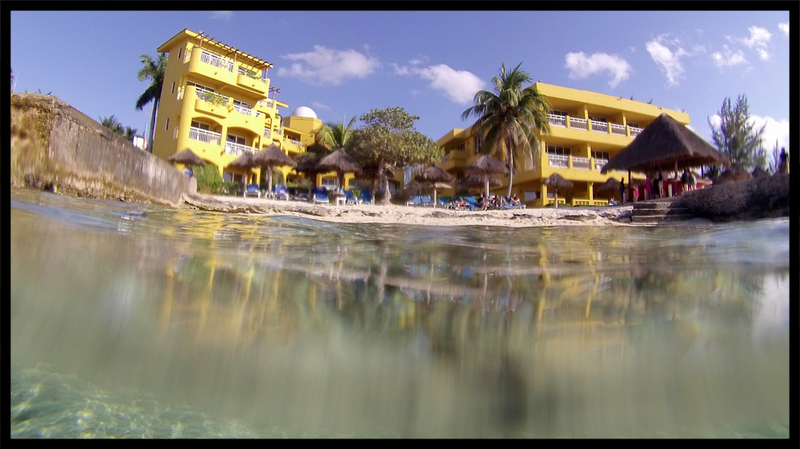 Underwater is where you will see Cozumel’s greatest attractions. The water there, as divers often say, is gin clear, and I have been bragging for a whole year about the diversity of marine life we saw in the shallow water right off our hotel. 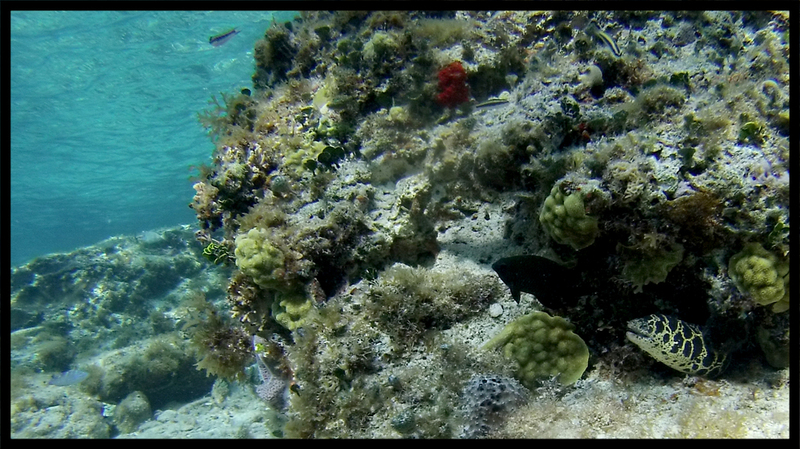 Cozumel’s reefs and marine life are protected, and you don’t have to be a scuba diver to experience it. We booked a half-day snorkel trip with Bluedream Cozumel (located conveniently right next to our hotel) and shared the boat with some scuba divers from Idaho. Our tour alternated between getting the divers into deep water and keeping the snorkelers happy in shallow water, and they did a great job. 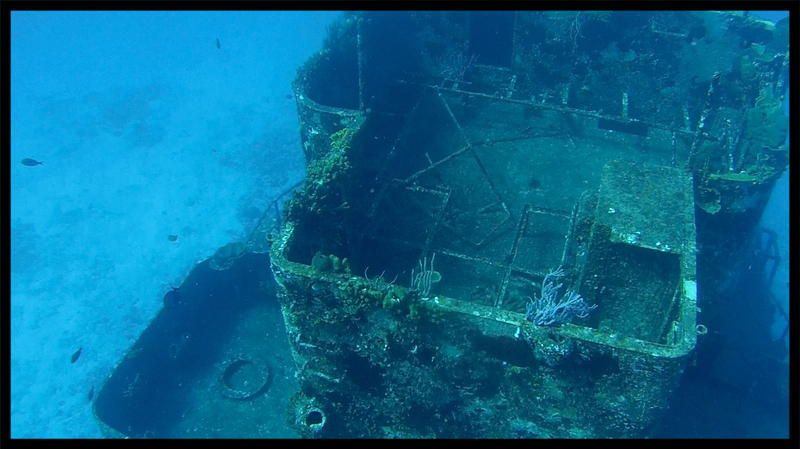 Our captain, Beto, first took us all to see a sunken military ship in deep water not far from the harbor. There was a strong current, but I was able to swim down about twenty feet to get a little closer. The wreck sits in some eighty feet of water but the water is so clear you would think it couldn’t possibly be that deep. Our favorite shallow spot was a reef aptly named Paradise. The pristine and teeming Paradise reef was, not surprisingly, only just a few dozen yards from Cozumel’s rocky shoreline. 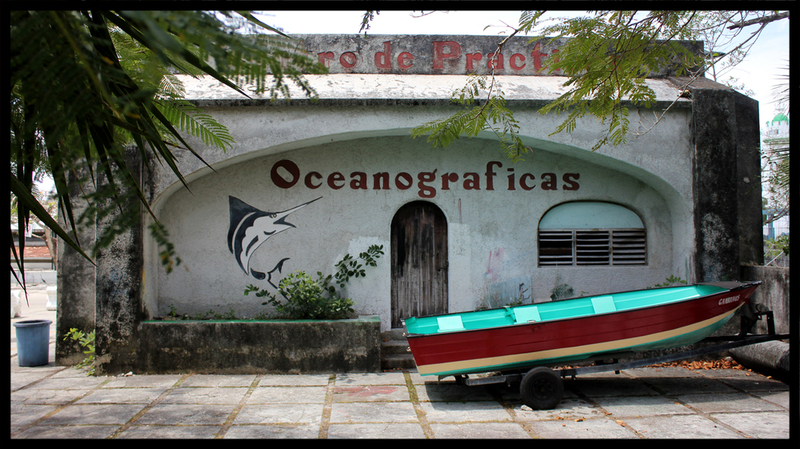 A chuckling Beto tossed pieces of melon and coconut out to us, and we were soon surrounded by schools of fearless and hungry fish. I could hear the giggles and gasps through everyone’s snorkel tubes. 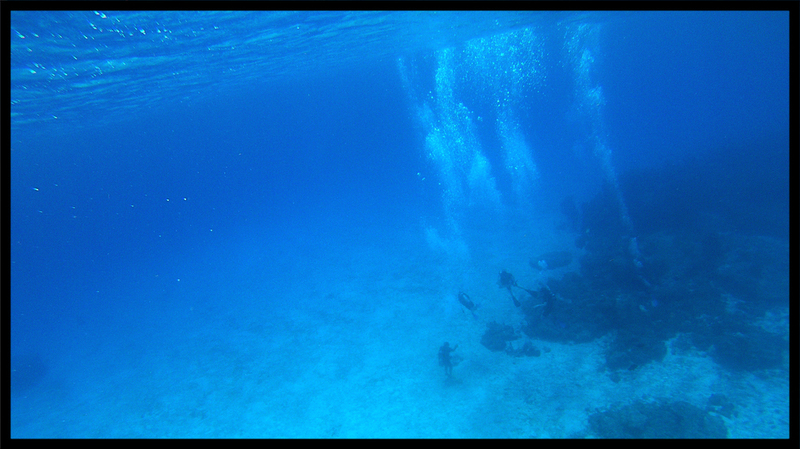 Back out in deeper water, we watched from the surface as our divers toured the reef some fifty feet below. Mind you, I am not the kind of free diver that can stay down for a long time. My breath-holding ability is limited and not measured in minutes. The clarity of the water in Cozumel played tricks on me, though, and because I could see the reef below me so well, I was making attempts to reach it that I would never have tried in poorer visibility. The bottom always appeared closer than it actually was. This led to a few “oh boy” moments when looking back at my daughters swimming so far above me, realizing that it would have to be a fast trip back up. After the Idahoans completed their second dive, Beto whisked us back to the pier at the Playa Azul. The cool waters, warm sunlight, and exertion of snorkeling will burn a lot of calories, and we were all ready for warm showers and a plate of fresh Mahi tacos by the beach. I’m now a big fan of the spicy local salsa, Xni-Pec, a chopped mixture of fresh habaneros, cilantro, onions, and tomatoes. 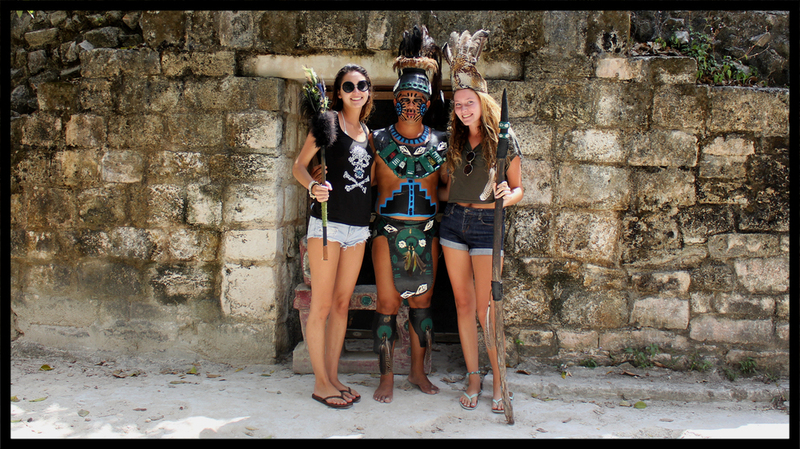 Alberto explained that the Mayan name translates to “dog’s wet nose” because of the effect it has on your sinuses. It was refreshing to return to the hospitality of Playa Azul after exploring each day. I think all successful travel involves the perfect combination of comfort and adventure. If we didn’t want to do much at all, the clear waters in front of the hotel kept us occupied. 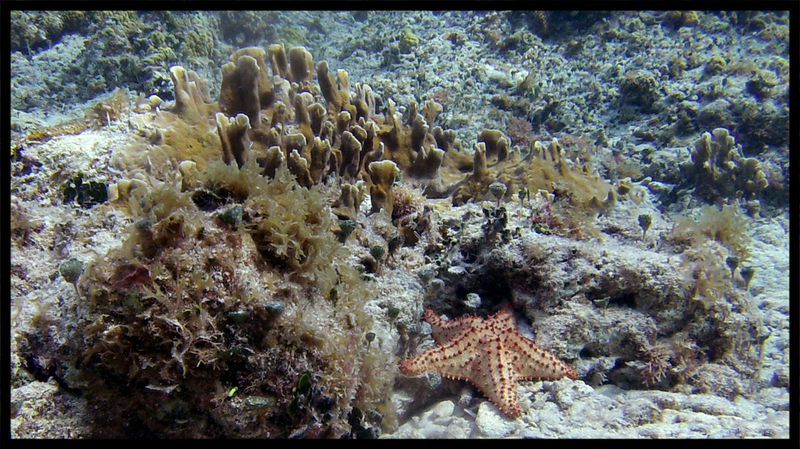 I saw starfish, eels, and octopus in water shallow enough to stand in (there I go, bragging again). 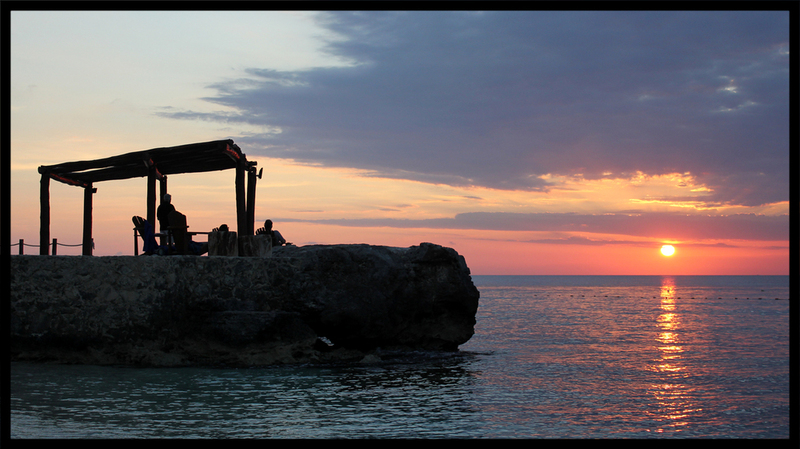 Of course, because Playa Azul is on the western side of Cozumel, and the western side faces, well, west, we watched incredible sunsets from the under the palapa at the beach bar. We’re planning our return to Cozumel because a fresh mango daiquiri, bought at an exchange rate of 15:1 and tasted at sunset, is a very successful combination of comfort and adventure indeed, and completely worth the wait.